Great in Clothes, Fabulous Without! You can see result right from the very first week! It is easy to follow and exercises can be done anytime, anywhere on your own. It can lower your risk of diseases like heart diseases and diabetics. You will add more energy in your life. You can also sustain and continue improving for the rest of your life after the 3 weeks. Suitable for all ages and fitness level. With a new body and energy, you will be sure to feel more confidence. 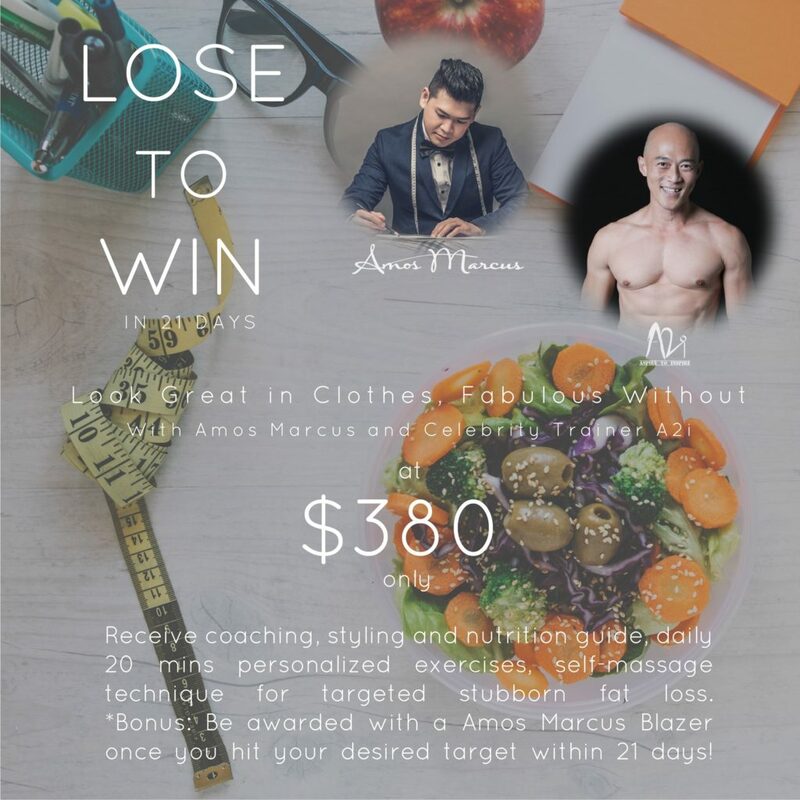 On top of that, you will be awarded with a bespoke blazer worth $350, designed by our celebrity tailor Amos Marcus when you meet your set target. That’s how everyone can look great in clothes, fabulous without. Sign Up today for the Programme at $380. Book your slot for a new you.